This is a fabulous recipe from Mario Batali's The Babbo cookbook which we demolished a couple of nights ago and was one of the best pasta dishes ever. Scrumptious, salty, sweet, think of yummy multiplied many times. The recipe is called Penne with Zucca. If you have the book it's on page 144 - I suggest you invest if you don’t, there are so many great recipes. 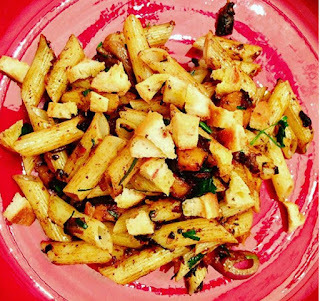 The recipe is also to be found at https://www.epicurious.com/recipes/member/views/penne-with-zucca-50109779. 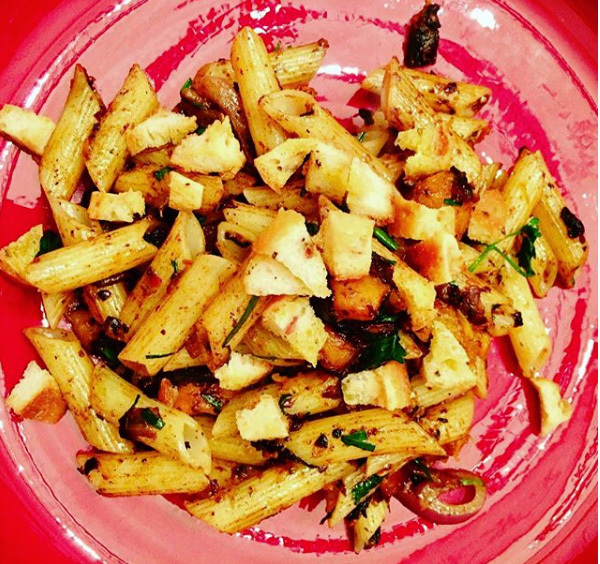 The ingredients are olive oil, red onions, garlic (lots of), anchovy fillets, butternut squash, penne, parsley (and chives) and roasted breadcrumbs. What a mixture! Brilliantly cooked (not by me) and all gone now. We had this with rapini, not my favourite green veg but it countered the sweetness of the squash perfectly. 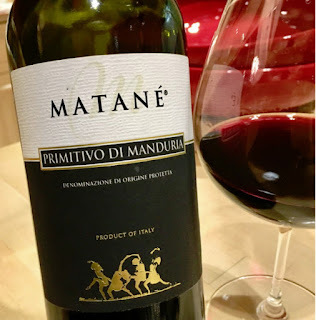 The pasta was paired with Matane Primitivo di Manduria which some might say was a little rich for the dish but it was delicious none the less. In all a superb combination for a chilly evening which is going to be hard to beat. Yum.